In the appreciation of bonsai, it is important to imagine a great natural landscape compressed into a pot. The viewer should focus not just on the overall shape of the bonsai but also on each part, such as root, trunk, branch and leaves. 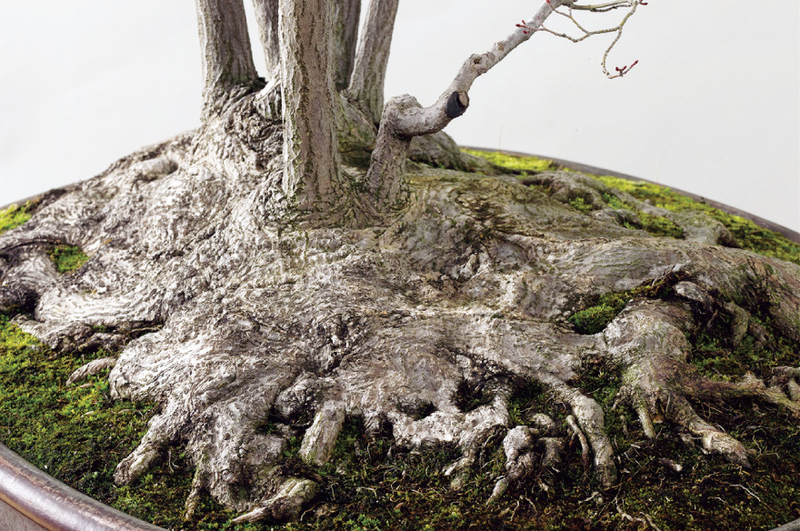 When appreciating bonsai, the first place to look is the spreading of the roots. The powerful vitality of the tree can be appreciated when noting how the roots have swelled with age through the years while maintaining a strong hold on the soil. 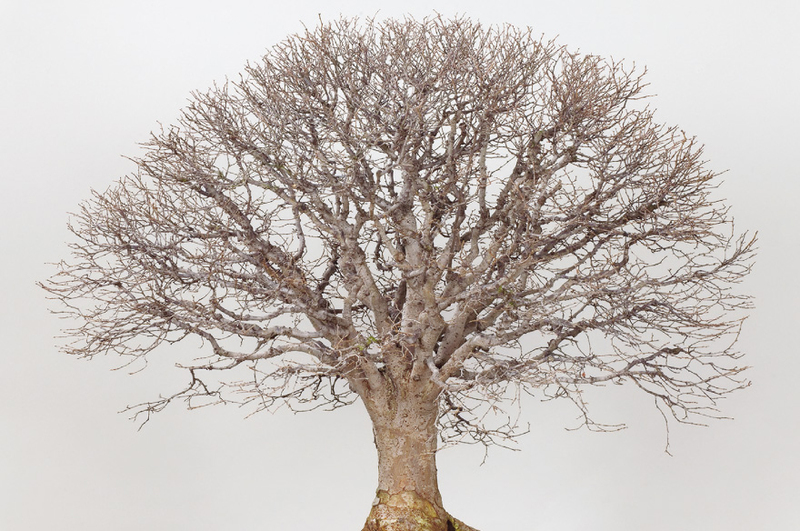 One of the ideal styles, called happo-nebari, that has the visible roots spreading in all directions. Some old trees, such as Japanese maple trees, are also attractive for their bankon. The trunk, bearing up the tree, is another aspect of the bonsai to view. The part of the trunk from the roots to the first branch is called tachi-agari. Spreading up and out from this point displays vigor in the semblance of a mighty, full-sized tree. The bark of the trunk is varied in accordance with the tree types. 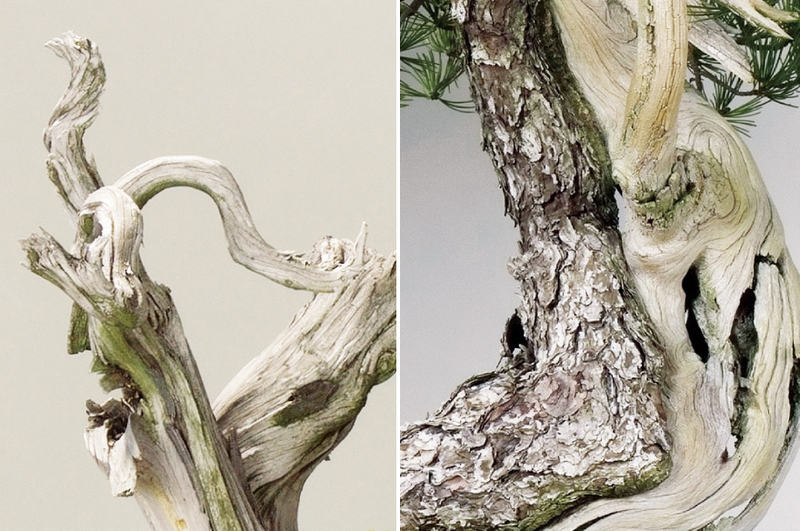 The bark of a matsu bonsai, for instance, having grown in layers over the ages, is very charming. The branches growing out of the trunk form the outline of a bonsai. One of the criteria of a quality bonsai is branches arranged in a pleasing balance without any ungraceful imi-eda, or faulty branches. Fractionated branches are also an attraction with the trees after their defoliation in the winter. 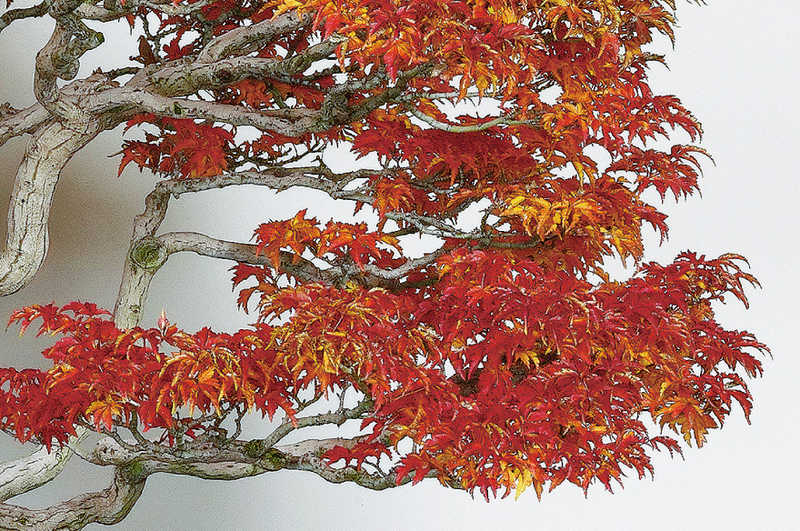 Foliage, in addition to the trunk, greatly affects the impression given by bonsai. Each individual tree has different characteristics in its leaves, even within the same species. 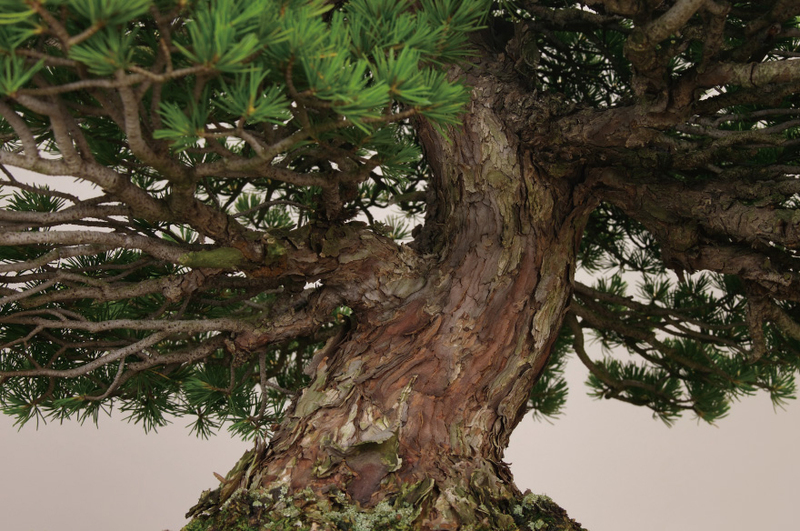 Goyo-matsu, for instance, a pine with the short, glossy needles, is often chosen as a seedling tree for cultivation into Bonsai. Likewise, trees such as the momiji offer the appreciative aspect of their tinted leaves in autumn. Matsu and shimpaku, through the passage of time, could partially decay on their trunks and branches yet still maintain their shapes. Such trunks bring out a beautiful contrast between green leaves and its revealed white, skin-like surface. The perished tips on the branches are called jin and the decay on parts of the trunks is called shari.